The State Government passed legislation on Wednesday aimed at better protecting land of high conservation value. The Special Wildlife Reserves will be voluntary, with private landholders entering a binding agreement with the State to conserve the land. 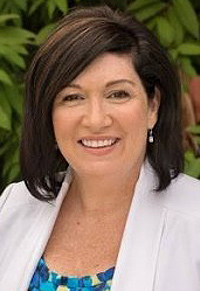 Environment Minister Leeanne Enoch said landowners and organisations who want to voluntarily look after Queensland’s biodiversity are now able to invest in this new class of protected area. Ms Enoch said Special Wildlife Reserves would be established by a voluntary agreement between the State Government and landholders. Dear Minister Leanne. I hope you know about the reserve not far from where a coal mine run by Adani is a possibility. It is called Bimblebox and has been a reserve for dozens of years. My husband and I own a small piece of it, and it is a reserve carrying several valuable trees and shrubs as well as animals, but most valuable, the Black-Throated Finch – an endangered bird, found only there as well as a little of northern NSW. The loss of groundwater there if a mine goes ahead will result in the death of the growth here, and subsequently the animals and birds that depend on it. Coal is not needed at all now as we turn to renewables. No mine should be opened anywhere, let alone this area. If the government is thinking of workers, then they would best be employed on building the solar and wind instruments and installing them. Qld Labor stepping up giving an avenue of protecting lands. Well done.